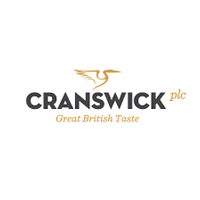 Cranswick Plc (LON:CWK), a leading UK food producer, today provided an update on trading for the three months to 31 December 2018. As expected, revenue for the quarter was 2 per cent lower compared to the equivalent 13-week period in the previous financial year. Strong growth in poultry and continental products was offset by lower sales from other, pork related, categories. The UK pig price continued to ease during the period, ending the quarter 7 per cent lower than at the same stage last year. This downward trend is being reflected in selling prices. The Group continues to invest at record levels across its asset base to increase capacity, add new capability and drive further operating efficiencies, whilst maintaining industry leading standards at all its facilities. Construction of the Group’s new poultry processing facility in Eye, Suffolk, is continuing to plan with the exterior building works nearing completion and commissioning anticipated towards the end of the next financial year as previously indicated. We are pleased to report that the Group has agreed a long-term supply agreement with Wm Morrison Supermarkets plc to supply fresh poultry from the new Eye facility. We will also shortly start supplying the same customer with a range of cooked poultry products from our added value poultry facility in Hull. Net debt increased during the quarter, reflecting the customary seasonal increase in working capital and ongoing expenditure on capital projects, and ended the period in line with the same stage last year. The Group’s borrowings continue to be managed conservatively with committed, unsecured facilities of £160 million providing considerable headroom to support the Group’s growth strategy. The Board’s expectations for the Group’s trading performance in the current year are unchanged. For the following financial year, the Group’s operating margin is likely to decline, reflecting the potentially challenging commercial landscape, together with start-up and commissioning costs associated with the new Eye Facility, only partly offset by management actions. Notwithstanding these short-term challenges, our new Eye and existing added value, poultry facilities and our broadening customer base, provide a solid platform to further develop our poultry business and drive future growth in this attractive and expanding protein category. 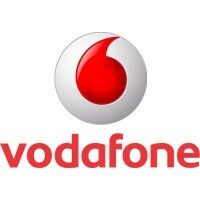 The Board is confident that continued focus on the strengths of the Company, which include its long-standing customer relationships, breadth and quality of products, robust financial position and industry leading asset infrastructure, will support the further successful development of the Group over the longer term. The Company’s next scheduled comment on trading will be the preliminary results announcement on 21 May 2019. Click CWK for the full archive.